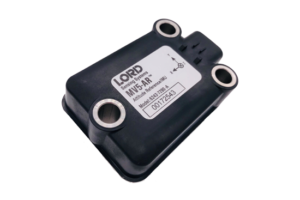 LORD Sensing MicroStrain are soon to release a new rugged inertial sensor aimed for off-road vehicle use but with applications in any inertial / orientation measurement application in an external or harsh environment. The MV5-AR has a CAN/J1939 interface and is housed in a IP67/69K package, 24x55x80mm. Internal shock and vibration isolation, as well as the proven on board auto-adaptive extended Kalman filter, mean that attitude/slope measurements remain reliable and stable even when the vehicle is on the move, with excellent dynamic accuracy. Temperature compensation is performed over the full operating temperature range of -40 to +85°C, with full 360degree measurement about all three axis. MicroStrain are also about to introduce a further addition to their lower cost OEM range with the CX5 series. These utilise the same high performance sensors of the GX5 series with the OEM packaging of the CV5 series. For further details on any of these products, please let us know so that we can send them when available.